Is your flabby and loose tummy bothering you? Tummy Tuck Melbourne may just have the best solution for you! Contact us now and we will let you in on our secret. Abdominoplasty, more commonly known as tummy tuck, is a surgical procedure that removes loose and excess abdominal skin and some fat tissue and tightens the abdominal muscles to flatten out the tummy. Abdominoplasty is sometimes combined with liposuction to further improve the abdomen’s shape, contour, and function. Contact Tummy Tuck Melbourne to know more! In Tummy Tuck Melbourne, a body lift is a type of abdominoplasty, called circumferential abdominoplasty, which focuses on removing loose and excess skin around the sides and back of the patient as well, instead of only the tummy. As the name implies, it reshapes and ‘lifts’ all front, sides, and back areas of the trunk area. Ask us about all the details on body lift by calling Tummy Tuck Melbourne now. What are the other kinds of Abdominoplasty? Full abdominoplasty involves removal of loose skin and fat tissue and tightening of the abdominal muscles for upper and lower portions of the abdomen, with the belly button surgically repositioned to fit the new flattened tummy. Mini abdominoplasty removes loose skin on the lower portion of the abdomen to flatten out the tummy, without repositioning the abdomen and tightening the muscles. at Tummy Tuck Melbourne, both types of abdominoplasty may be combined with liposuction, especially if large amounts of fat are stored in the tummy. This will improve the results of having a tummy tuck. Anyone with good physical health can undergo the tummy tuck procedure if they have loose pockets of fat or loose skin in their abdomen that have not responded well to either or both diet and exercise. If you notice that your skin’s elasticity has diminished after trying to lose some weight or because of aging, Tummy Tuck Melbourne’ s abdominoplasty procedure can help regain your tummy’s youthful appearance. Abdominoplasty can also be useful for women with stretched skin and muscles from pregnancy. At Tummy Tuck Melbourne, we believe everyone deserves to discover their body’s best potential. We, at Tummy tuck Melbourne, are here to guide you to the right and sexier path. We have the best Melbourne specialists in the field of cosmetic surgery whose superb expertise can cater to all kinds of problems concerning beauty enhancements and body reshaping and contouring. Tummy Tuck Melbourne has the latest innovations in plastic surgery to ensure our valued Melbourne clients that choosing our practice may be the best decision they made to achieve their best body. Every patient has a different situation and level of need for Tummy tuck. Some Melbourne patients may only need a mini-tummy tuck while others may need a full tummy tuck with liposuction. This makes it difficult to impose a specific cost for each procedure. 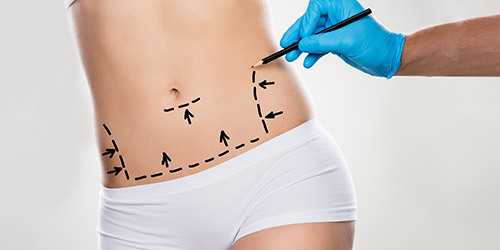 Thus, upon your preliminary consultation, your reputable Tummy Tuck Melbourne cosmetic surgeon will do a comprehensive evaluation and explain to you in detail the most suitable type of abdominoplasty for you. Being fully informed and knowing all your cards is one of Tummy Tuck Melbourne’s priorities. That way, whatever amount you are paying will be justified by the complexity of the procedure to be performed and the details are transparent for both the patient and the Tummy Tuck Melbourne surgeon. Know more about abdominoplasty’s benefits by calling Tummy Tuck Melbourne and booking an appointment now. Abdominoplasty is done before weight loss or before dieting. At Tummy Tuck Melbourne, tummy tucks are performed if, after regular exercise and proper diet, your tummy appears to be stubbornly loose and saggy due to the excess skin after being obese or overweight for a long time. A tummy tuck procedure can be done and be pregnant after. Melbourne patients who are planning on becoming pregnant or having more kids are advised to forego getting abdominoplasty first. A tummy tuck tightens the abdominal muscles and flattens out the abdomen. Becoming pregnant stretches these muscles back, defeating the purpose of the procedure and may even cause complications in the future. Abdominoplasty is a weight loss procedure. A tummy tuck is a major surgical procedure done at Tummy Tuck Melbourne to reshape your body’s appearance, removing the saggy skin after weight loss. It will have little to no impact on your journey to achieve your ideal weight. All surgeries performed at Tummy Tuck Melbourne or anywhere else have potential risks and unforeseen complications may arise whether or not proper procedures and safety measures were followed. That is why every surgical procedure should be considered a major life decision and weighing the pros and cons is essential before pushing through with it. Common risks and complications during and after the abdominoplasty procedure include bleeding, hematoma/bruising, infections, and/or blood clots. An abdominoplasty is performed as an overnight or a two-night stay in the hospital, depending on the complexity of the patient’s needs. It is performed most commonly under general anesthesia. An incision is made along your bikini line and, for a full tummy tuck, a second incision around your belly button. The abdominal skin is then separated from the fat tissue and muscles. The muscles are the sutured to tighten or stretch it out. Excess fat tissue and skin are removed. Sutures with the tightened skin will be done and the navel is repositioned to fit the flattened abdomen. Elastic bandages will be used to support the abdomen. Recovery after the operation can take up to 6-8 weeks, and Tummy Tuck Melbourne patients are often advised to wear compression garments and bandages and return to Tummy Tuck Melbourne for weekly follow-ups. Wound dressings and bandages should be changed regularly and instructions on wound care are given before discharge from the hospital. Very limited movements should be made by the Tummy Tuck Melbourne patient for the first few days, but early ambulation is encouraged to facilitate blood circulation. You may notice swelling, pain, and bruising on the surgical site but these will diminish in the next few weeks. Pain medications and oral antibiotics are also prescribed to help relieve these symptoms. Return to work, exercise, and your regular activities must be under the approval of your Tummy Tuck Melbourne surgeon. Heavy lifting and activities that could put pressure or strain on the abdomen should be avoided while recovering. Regular follow-ups and visits to your Tummy Tuck Melbourne surgeon and medical provider should be done in order to assess the overall result of the procedure. No information will be left unsaid or unexplained, because we want you to feel relaxed and comfortable throughout the whole process. Together, let us embark on a safe and exciting journey to a more beautiful and better you! Want more NEW Tummy Tuck patients?